See the introduction to this page on the ASG-32 Page. 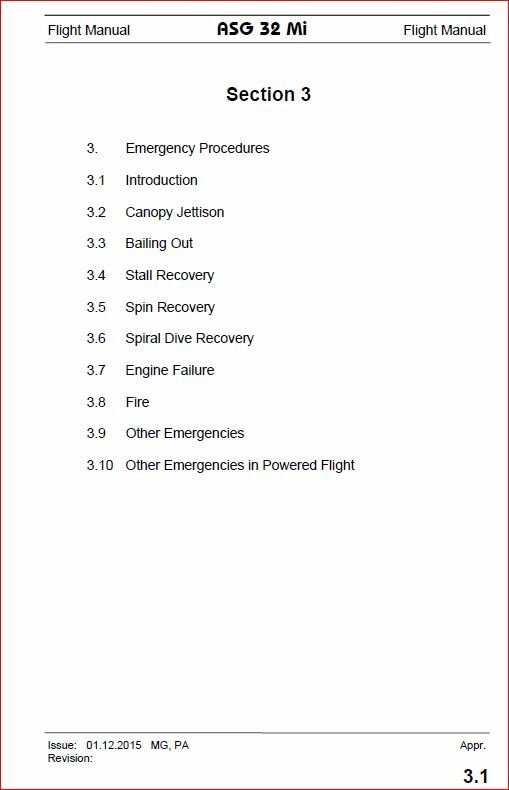 Section 3 of the Flight Manual lists seven specific procedure, as well as referencing two other sections. 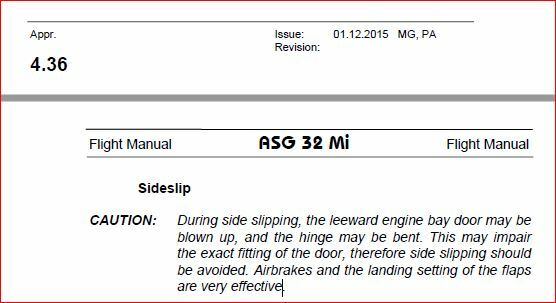 You certainly will not have time to refer to the Flight Manual if you were in need of this info, so it is imperative that you know it well before flight. As for stalls, I tried lots of different approaches. 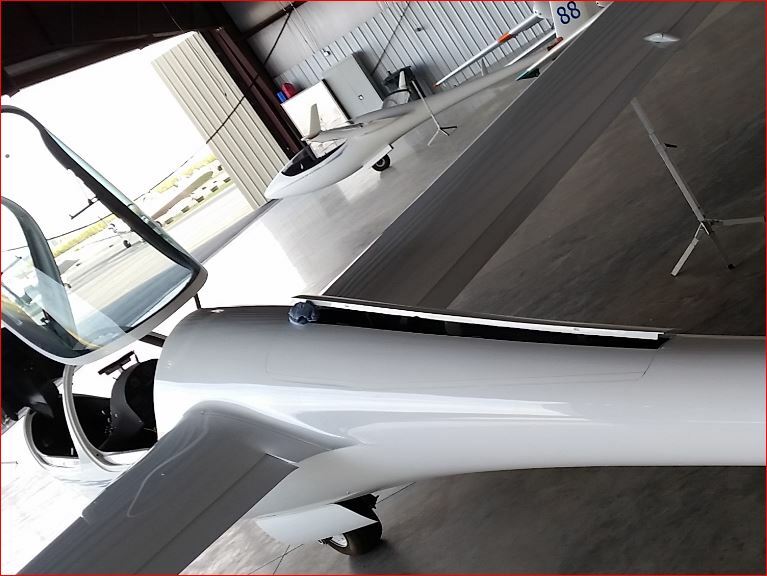 Negative flaps, themal flap setting, cruise/ neutral flaps (position 4), spoilers both open and closed, extremely high pitch attitude angles, etc. The ship is like the K21. You have to work at it to make it stall. Really nice handling. There are cautions and warnings, but the section on Spin Recovery is interesting…. Prop extended and engine running, thermal flaps, Lading flaps, etc. Special Emergency procedures, since there is an engine. Engine failure, Fire with prop extended, fire with prom retracted, etc. Broken throttle cable and the engine goes to WOT ( Wide Open Throttle)! You need to take the time to read the entire Flight Manual. I know from experience that they WILL blow open if you perform a side slip maneuver – ask me how know! So heed the above caution, or you may damage the doors/ hinges.